Designed and built for a private client, Pelhams Walk is another fantastic dwelling that we’ve been happy to assist with. 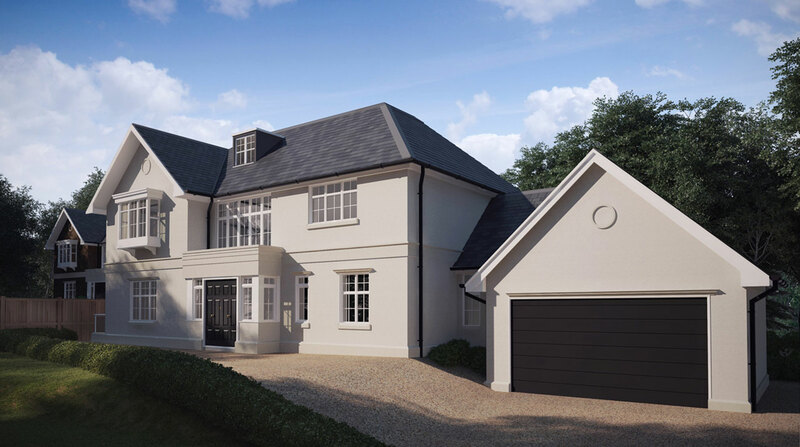 Pelhams Walk in Esher Place is a private estate of luxury homes on the east bank of the River Mole. Situated in one of Esher’s premier addresses just a short walk to Esher High Street, the house has been created to a wonderfully high standard. Monolith provided StonePlus exterior stone products for the property, which suit the outside appearance and have been expertly designed by the architect to make a real impact. Following success with this project, Monolith and Lusso homes continue to work in partnership on other key properties. Our StonePlus product really lends itself to luxury developments like Pelhams Walk, but is so versatile that it can be used to replicate ornate features on period properties, or in areas that are under a listed building regulation. Naturally, there are some limitations to what we can produce, but we are always up for a challenge. If you have a project that requires internal or external stone features, please contact us to find out how StonePlus can help.